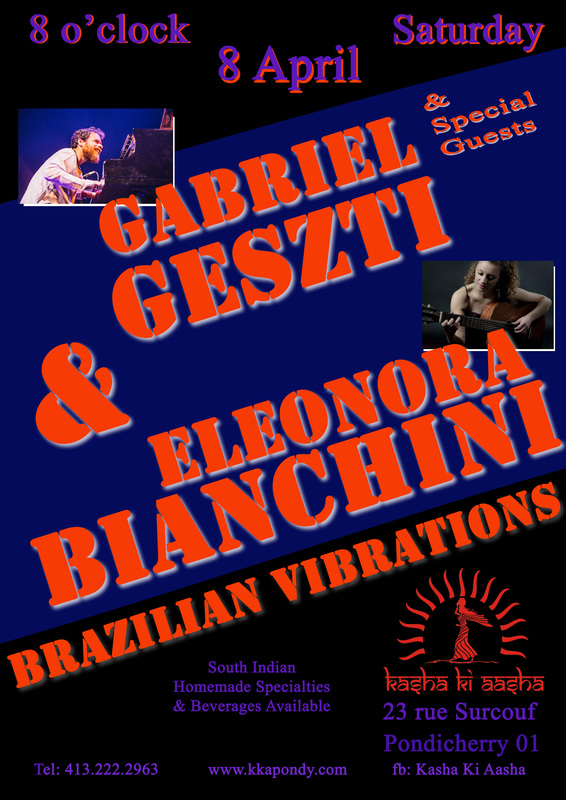 Looking forward to a great evening AGAIN this Saturday with internationally acclaimed musicians Gabriel Geszti and Eleonora Bianchini bringing in some Brazilian Vibrations . They are going to surprise our audience with some special guest appearances throughout the show too – WE don’t even know what to expect!!! So come early to get a seat on our terrace and enjoy some of our new specials and a glass of something cool. Can’t think of a better way spend a sultry evening than with the coolest music in town.